Conversion of drawings available in paper into vector drawings through process of scanning and conversion of the images into electronic drawings. Interfacing of electronic drawings and the data associated with the entities to create a bi-directional editing & upgrading facility. Analysis & Design of structures using STAAD and generation of design drawings. Development of working drawings from design drawings generated by us or by client. Generation of Architectural drawings from concept plans. Development of 3-D models and walkthroughs as per client’s specifications. Drawings of standardized shapes but different dimensions. Generation of 3 dimensional models from 2 D views and generation of perspectives and views from user defined viewpoints. Illumination, material incorporation and rendering of models generated and data available. Modelling of components and assembly of automotive components and mechanical equipments. Development of drawings of Ship hull parts, development drawing of shells and bulkheads from scanned images of the ship drawings but to accurate dimensions. Involves detailed study of the ship drawing by competent Naval Architect. Identification and definition of components like brackets, stiffeners. Conversion of 2D drawings of Mechanical components and assembly into 3D Parametric models using CATIA / ProEngineer / Ideas / AutoCAD MDT as per clients specifications. Providing multiple services in Engineering Analysis ranging from Static Analysis to Thermal, Dynamic, Fatigue analysis including Fluid Flow problems. 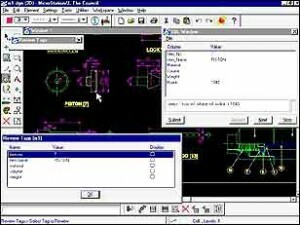 Providing services Manufacturing models with NC Code generation for various controls using the Manufacturing modules of I-DEAS/CATIA/ ProEngineer.